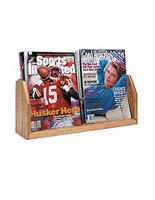 Tiny Footprint Frees up Space! 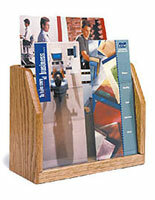 Stores (4) Types of Flyers at Once! 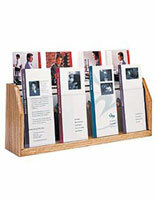 This wooden literature organizer with a (4) pocket brochure system is inexpensive, with an attractive mahogany finish. 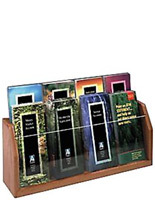 An acrylic facing keeps contents of each of these displays visible to customers at checkout. 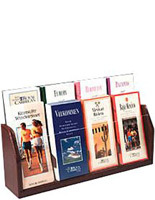 This literature organizer, also known as a clear plastic storage rack, is made from durable oak underneath the red facing. 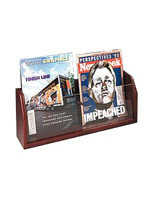 This magazine holder takes up a small footprint, leaving room for other promotional materials. 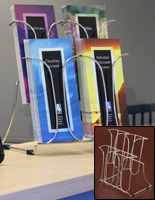 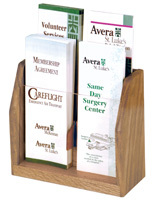 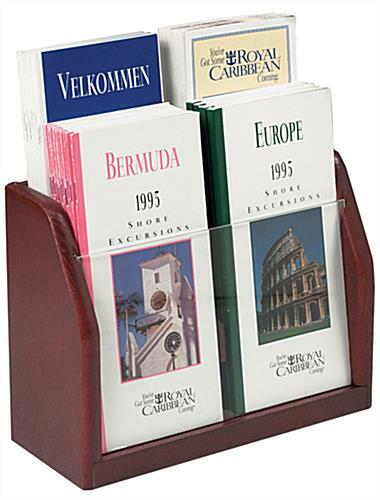 This organizer, like brochure holders, is a trifold literature display that can be same-day shipped from this website!